Anglers fishing in Bar Crusher’s new, super heavy-duty 760HT have taken home top honours in two of Tasmania’s foremost gamefishing tournaments. The team scored back-to-back wins (tag and release) in the St Helens Game Fishing Classic and the Coles Bay Classic – a feat never before achieved since the events’ inception. A 23.8kg Southern Bluefin Tuna also secured heaviest gamefish at Coles Bay. 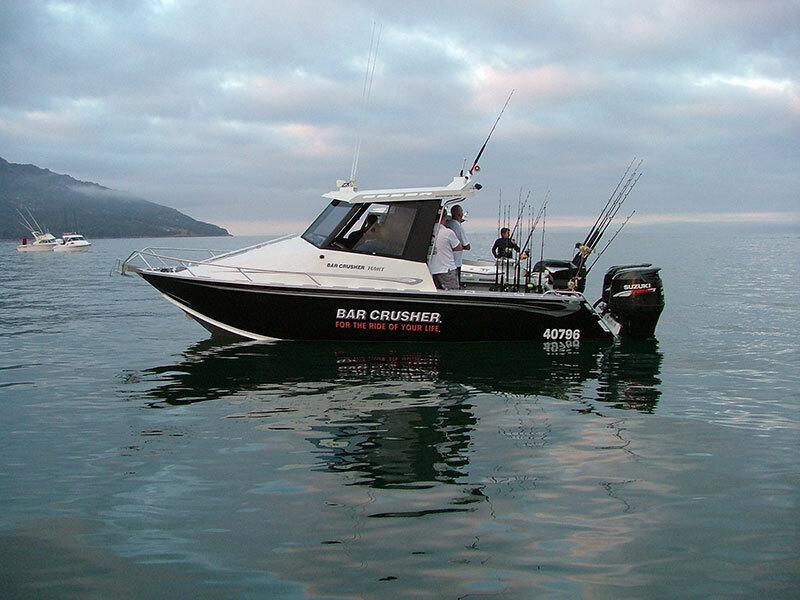 Tasmanian Bar Crusher dealer Coastal Marine’s Anthony Wolfe said the 760HT was the envy of all competitors and the only boat to catch a Southern Bluefin Tuna during the tournaments. “It was a very good result, a combination of good crew and an amazing boat,” Mr Wolfe said. Despite the rough seas at both events, Mr Wolfe said they were still able to troll side-on to the sea due to the solid construction and awesome performance of the big Bar Crusher. “I’ve also had the 760HT in 3m seas and 30kt winds… it is simply rock solid and inspires a lot of confidence in those conditions,” he said. Coastal Marine has achieved good sales since the Bar Crusher 760HT was launched in February. The dealership also hosted an in-house boat show in early April, which Mr Wolfe said was very successful. “We had six sales over that weekend… the shop was busy and people told us they intended to buy,” Mr Wolfe said.